Extermination of disabled human beings through abortion is a holocaust that is transpiring now! What could be more "Nazi" than exterminating the disabled? But what could be more "Nazi" than exterminating the disabled? 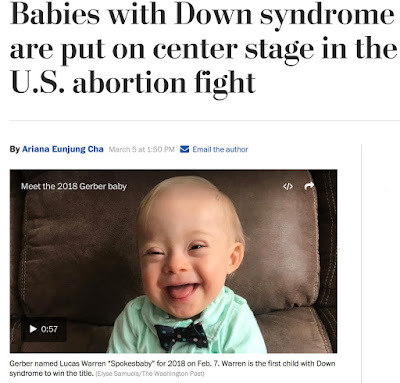 According to the Washington Post (March 5 online) and Britain's BBC News ("A World Without Down Syndrome," September 29, 2016), 90% of Down Syndrome babies are aborted in Britain. The Copenhagen Post of July 22 reported that nearly 100% of such babies are killed before birth in Denmark. The BBC reports that the same is true for Iceland. In the U.S. this Nazi trend is gaining traction with the increasing availability of a simple, relatively new blood test that screens for Trisomy 21—the chromosome that leads to the condition, revealing to a pregnant mother that her unborn infant has the Syndrome. Human beings like Frank Stephens are being exterminated through abortion in the name of human rights for women and the slogan “It’s my body.” Actually madam, it’s your body and the body of another human being inside of you who should have rights but has none. The failure to recognize the Nazi mentality behind the alibis for the mass murder of unborn Down syndrome children is a monument to human imbecility. By their apathy and complacency, the liberal-Left is complicit in the extermination of Down Syndrome humans. The eerie similarity to Nazism troubles them not all. When it comes to the murder of unborn human beings it is not difficult to see that the supposed anti-Nazi stance of the liberals is a politically-motivated farce. There is a very real, politically correct neo-Nazi movement in the world today. It is perpetrating the mass murder of Down syndrome children via abortion. Michael Hoffman is a former reporter for the New York bureau of the Associated Press and the author of nine books. Not to mention Euthanasia ,the means of cutting health care costs ,been projected as compassion for people in pain. I am astounded by the increasing parallels between the pre-WWII era and our times. With the rise of social trends that indicate national decline in the West, including joblessness, divorce and remarriage, homosexuality, mass immigration, low birth rates, increased abortion rates, gun control, mass shootings, secular education, rise of fascism, low church attendance records, euthanasia, etc. I'm sure as Mark Twain noted, "History doesn't repeat, but it sure rhymes" and so we'll be seeing a new European beast power arise on the scene soon to take the charge and as God's Word prophesies chasten the Anglo-American nations that are failing dismally in their divine commission to be as John Winthrop put it: "A city upon a hill," to which other nations could look to for guidance, leadership and a model to follow. However, leading the world in so much lawlessness and immorality today foreign nations are no longer looking at the US or UK except by way of a bad example to avoid and inevitably as a horrible warning. 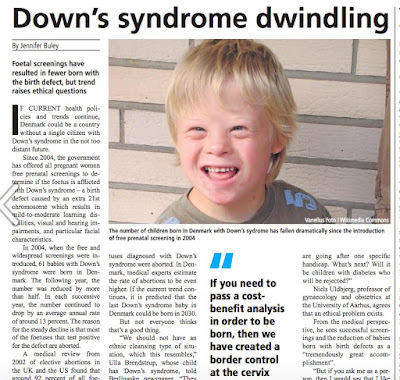 Unfortunately we have the same system of Down Syndrome screening being implemented in Russia. I would like to share a real story that happened to the friends of mine, a married couple. A woman got pregnant and naturally started being monitored by her gynecologist. After some time she was advised to past the Down Syndrom screening blood test. Soon to the couples awe they were told that the test had been positive and then the so-called doctors started to aggressively persuade the couple to get an abortion. Luckily being true Orthodox Christians the couple has resisited all the pressure put on them and opted for having a baby nonetheless. Guess what happened after nine months? A perfectly health daughter was born with no signs of Down Syndrome whatsoever. 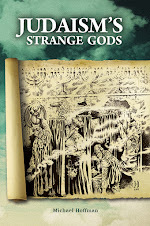 What does this story teach us? Are these tests prone to medical errors? Not only. I believe that the truth is more sinister. 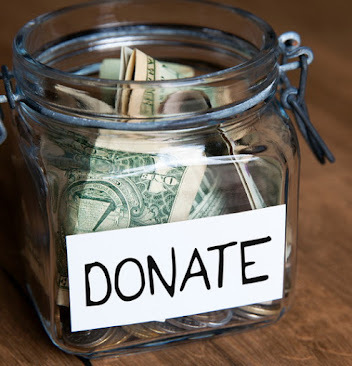 Nowadays abortions are mostly state-funded, the more abortions a medical facility performs, the more money it gets from the budget. They say they actually have a monthly, quarterly and yearly plans for a number of abortions performed. Now imagine this plan is not being fulfilled, because less people are getting abortions. 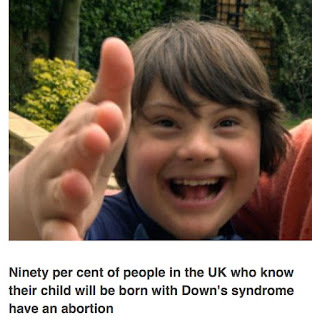 Wouldn't it be just a good business to manipulate the Down Syndrome test results to improve the abortion statistics? All this is part of a terrible Satanic system, where money, corruption and human sacrifice are bound together. I hope every reader will take the time to watch the brief video recommend by Doreen Agostina in the preceding comment (above). 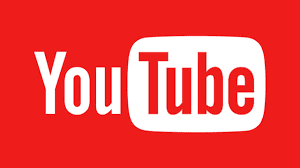 The extermination of Down syndrome humans in the womb is a grievous crime against humanity and this video testimony from a spokesman who has the syndrome proves it. I'm pretty sure marc garneau said something similar about disabled ppl a bunch of years back.. maybe he was just pulling the wool over his "brothers" eyes.. I'd have to interrogate my uncle to figure that out..
Actually, I am inclined to believe the "evil Nazis" is more a hollywood/Jewish media invention than truth. Perfect example would be the discovery recently of the MILLION OF ROUNDS of ammunition/artillery etc. found on the wreck of the Lucitania which was ILLEGALLY IN SPITE of warnings from Germany, being shipped aboard THAT PASSENGER SHIP. This one of MANY lies has been help sacrosanct for nearly 80 years. Further, the bald-faced genocide Israel/ AIPAC and their minions in D.C. spin as "self defense" are repulsive lies as well.